Two Prairie Waters Elementary grade four students were inspired to support cancer research after taking a school trip to the Alberta Cancer Foundation at the beginning of the school year. “It was exciting and fun to have the whole school watching and supporting us,” said fundraiser organizers Alida Teghtmeyer, and Leah Bentein. It was important for both students to support cancer research because they both have known people who have battled cancer in the past. 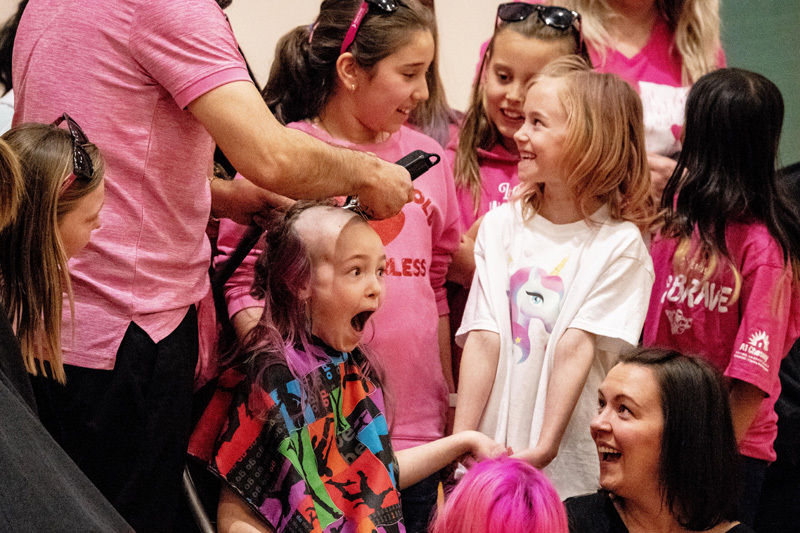 “They wanted to make an impact on the people who are diagnosed and have to fight cancer in our province,” said Prairie Waters Elementary Grade Three Teacher Janet Chapman. Chapman added she was impressed by how much research and organizing both students had initially done to ensure the fundraisers were successful. “I immediately offered to help them with the planning at the school,” she said. Working with the students and seeing how organized and determined they were was very inspiring to Chapman, she added. There was a group of 12 students who made posters, made announcements, and spoke at the head shaving assembly. “They showed up and worked extremely hard every week,” Chapman said. “One of the challenges was the bake sale. So many friends wanted to help, but it was hard to include everyone,” Teghtmeyer, and Bentein said. 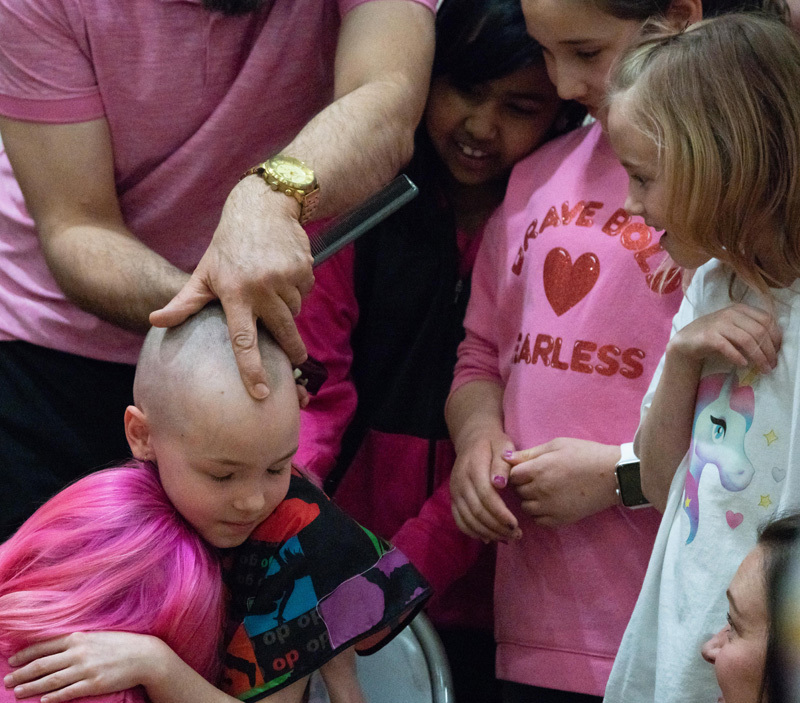 Despite the challenges, having the entire school supporting them during the head shaving assembly after months of collecting donations made the hard work worth it. “We want to thank our families, our school and our community for supporting us and helping us to beat our goal,” said Teghtmeyer, and Bentein. The students at Prairie Waters Elementary School were extremely excited to participate in the fundraisers, and to support their peers. The staff at Prairie Waters Elementary School, encourages students to take action by thinking about what they are passionate about, Chapman added. When students have a chance to support a cause, it doesn’t take much to get them on board. “We believe it is important to promote student agency and that the ideas for action come directly from the students themselves. We will see students taking action in our school in the future,” Chapman said. “We are all proud of them and thank the school community and the community as a whole for their support,” she added.